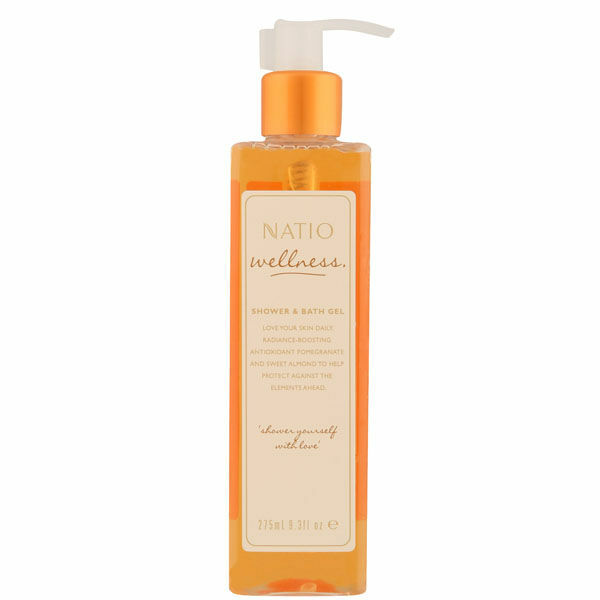 Leave your skin awash with vibrant, radiant life with this Natio Wellness Shower & Bath Gel. This body wash contains a moisturising blend of sweet almond and nutrient-rich pomegranate to leave your body cleansed while neutralising free radicals. Simply squeeze into hands or loofah.